Superman’s logo isn’t just one of the most iconic symbols in the world – his character is also argued to be the best and indeed most powerful. From his multifaceted lifestyle to his humble origin story and remarkably human moments of tragedy, Superman has the potential to be all of us. While Superman’s emblem may have changed over the years, the crux of his character design has remained largely consistent. His skin tight blue spandex has always revealed perfectly chiseled abs and muscle definition from his feet to his chin. In reality, men (who may have grown up with Superman’s stories and films) are sometimes more likely to be insecure about their bodies than women, with their concerns focusing on their stomachs, chests, and hair. Superman, a “great American hero,” is never depicted to his audience in a way that reflects the reality of their physiques. Finally earning a solo major motion picture in 2018, Aquaman will soon leave the pages of comic books for the big screen. 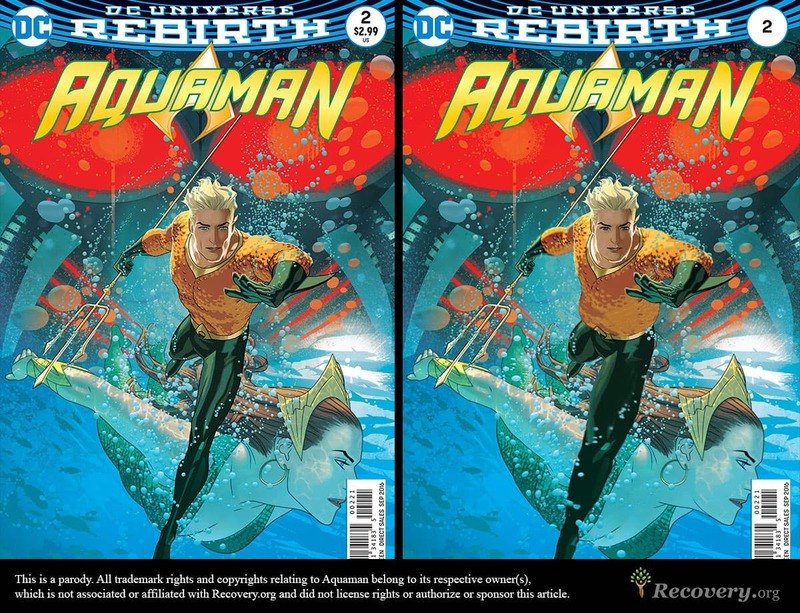 As far back as 1941, during the golden age of DC Comics, Aquaman’s iconic undersea uniform has consisted of an orange, fish-like shirt and green leggings that reveal his muscle definition and – what we can assume – very little body fat. Combined with his ability to survive underwater and communicate with sea life, this son of a lighthouse keeper (or ocean explorer, or son of a queen, depending on the origin story you prefer) became the official hero of the sea. Research has shown the way the male body is depicted in the media can impact the way men (especially young boys) perceive their own bodies. The increasingly perfect physique showcased time and time again in film can send a message to men that their bodies are never truly good enough. In 2012, Spider-Man’s character turned 50 years old, and this summer he’ll receive his sixth motion picture adaptation since 2002. Tackling real-life issues like family death (a crucial element to Spider-Man’s origin story), PTSD, and alcoholism, Peter Parker has often been hailed as one of the most relatable humans-turned-hero. 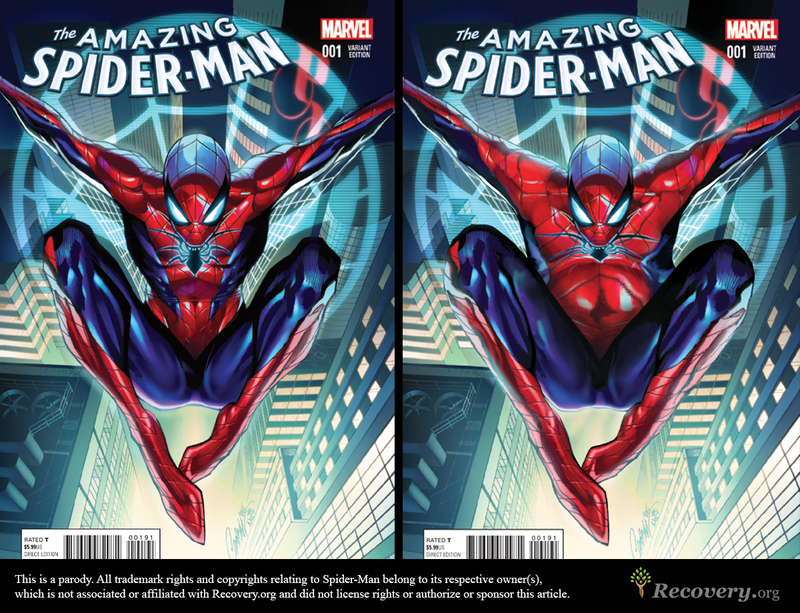 Still, Spider-Man’s body type seems to combine two extremes – an extremely thin frame with excessive muscle definition. A study published in 2016 found between 20 and 40 percent of men reported feeling dissatisfied with their physical appearance, including factors like weight, muscle tone, and muscle size. The same study indicated men feel pressure to look strong and powerful, leading “skinny” men to feel more dissatisfied with their bodies than men who may be categorized as medically overweight. One of only a few black superheroes in the Marvel universe, the Black Panther’s story is finally starting to unfold in the Marvel Cinematic Universe (MCU). Introduced briefly in 2016’s “Captain America: Civil War,” this prince-turned-king hails from a fictional African country called Wakanda, which makes not only the Black Panther a symbol for anti-racism in the comic books but also a figure for international relations. 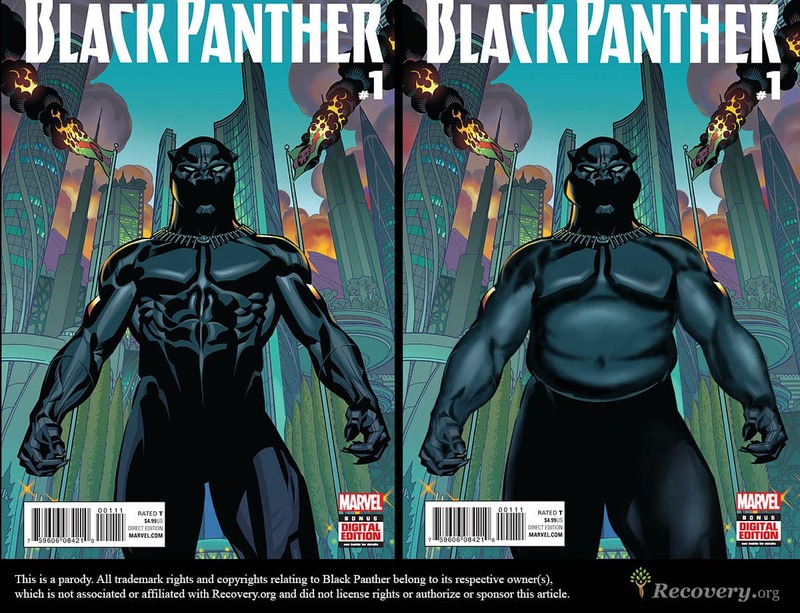 While the Black Panther is often depicted as an extremely muscular, large man in his black, skin tight spandex, a real-life version would probably have a wider waistline, a fuller face, and far less muscle definition. In fact, he’d probably look more like a hibernation-ready black bear than a panther. Harley Quinn wasn’t intended to be the icon she is today, but after her role in the 2016 film “Suicide Squad,” it’s abundantly clear her character has made a bigger splash than originally anticipated. Unlike some of the other characters mentioned, Harley Quinn was introduced in the ’90s cartoon series “Batman: The Animated Series” before she graced the inked pages of a DC comic book. Today, critics argue Harley Quinn’s character has been hypersexualized in recent adaptations compared to her more humble animated beginnings. Her relationship with The Joker has only propelled this image of her character and satirizes the metaphors she uses about women who suffer from domestic violence and emotional tragedy. Today, both Quinn’s physique and the outfits her character wears are in stark contrast to the typical American female. The second installment of “Guardians of the Galaxy” was so popular it earned over $146 million over its opening weekend, and the franchise has become so iconic it recently took over a major attraction at the Disney California Adventure Park in Anaheim. Of course, as far as characters go, Gamora is front and center. Raised by the tyrant Thanos, Gamora’s skills (and body) are largely owed to him. Since her introduction in 1975, Gamora’s outfits have often defied logic and physics. 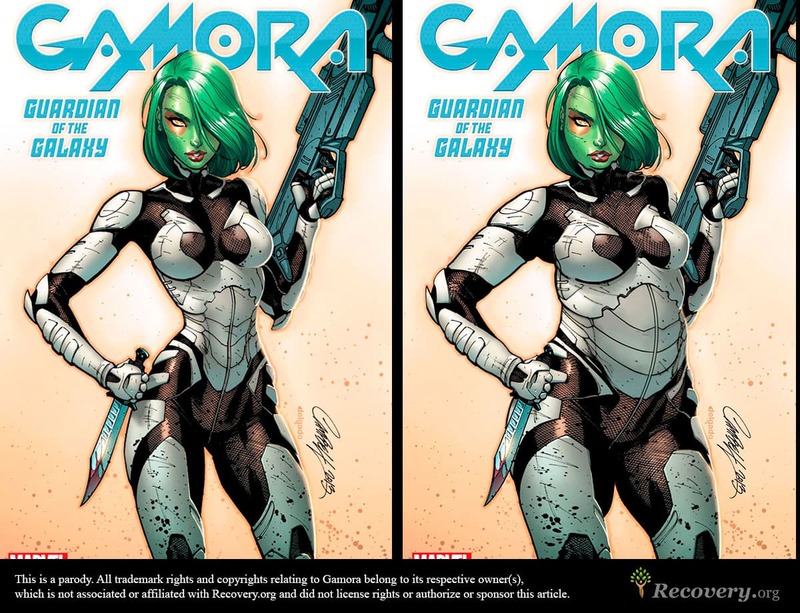 It’s no secret female anatomy is often depicted unrealistically in comic books, and Gamora’s character design and some of her scantily clad outfits play into this trope. A study of the speculated body mass indexes of some of Marvel’s most famous female characters have revealed nearly 1 in 3 is considered underweight. Research has found an increasing amount of body dissatisfaction in young girls and boys who have healthy BMIs. Captain Marvel is set to star in her own Marvel film by 2019. While the character has gone through several iterations over the years, this one will focus on Carol Danvers as an offshoot of the original Captain Marvel. 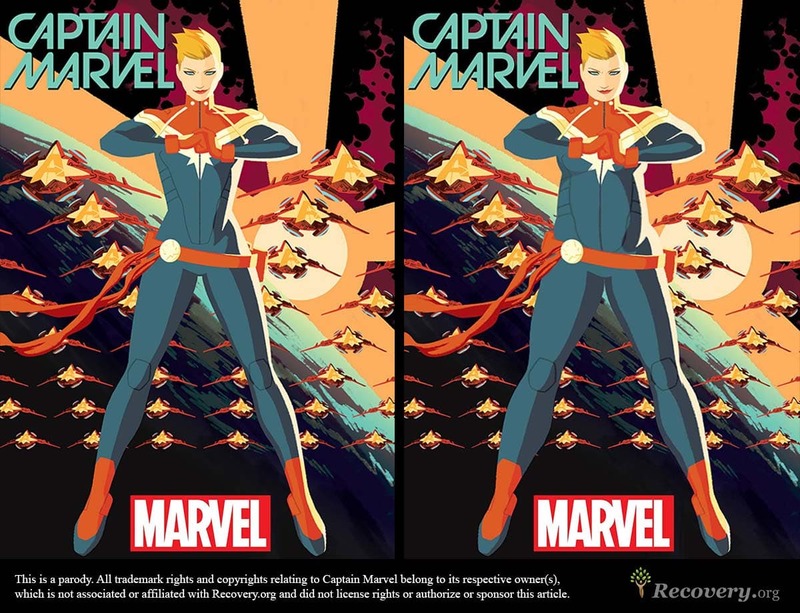 While her DNA was accidentally mixed with original (male) Mar-Vell, Danvers’ Captain Marvel represents one of the original examples of the sexual double standard in comic books. As far back as the ’70s, Danvers was introduced as an equal to her male predecessor in skill, but her outfit was surprisingly more revealing than his in nearly every way. The reality of these beauty standards for women can be extremely unhealthy. While eating disorders like anorexia and bulimia can’t be exclusively blamed on the media glorification of being thin (these disorders may also be hereditary), we can’t ignore the impact these standards have on young women across the country. Today, an estimated 8 million people in the U.S. struggle with eating disorders. Originally designed as a supervillain, Marvel’s Scarlet Witch toes the line between good and evil. Wanda Maximoff (the daughter of Magneto) wasn’t born with her super-psychic abilities – they were all taught. While her headgear has often identified her as a deeply complicated character, she’s also notorious for sensual, sexual costumes. 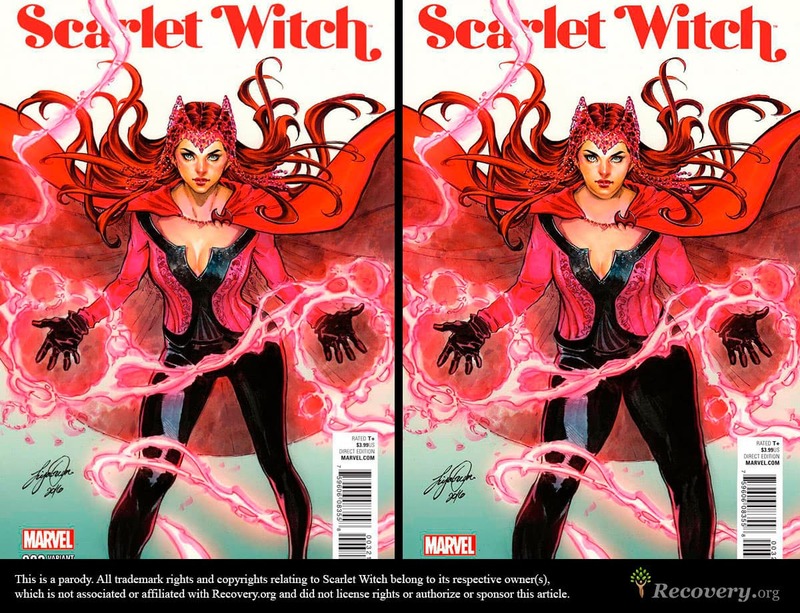 While often depicted with overly large breasts and a tight waistline, Scarlet Witch’s physical characterizations don’t always line up with reality. While Wanda is often drawn as a woman who might weigh slightly over 130 pounds, the average woman in the U.S. now weighs more than 166 pounds. There’s a lot to say about Black Widow (or Natasha Romanova, if you will), besides the fact she’s often drawn as 131 pounds, on average. After the latest installment of “The Avengers,” there was an intense debate among fans and critics alike that director Joss Whedon may not have portrayed this strong female character in the best light. 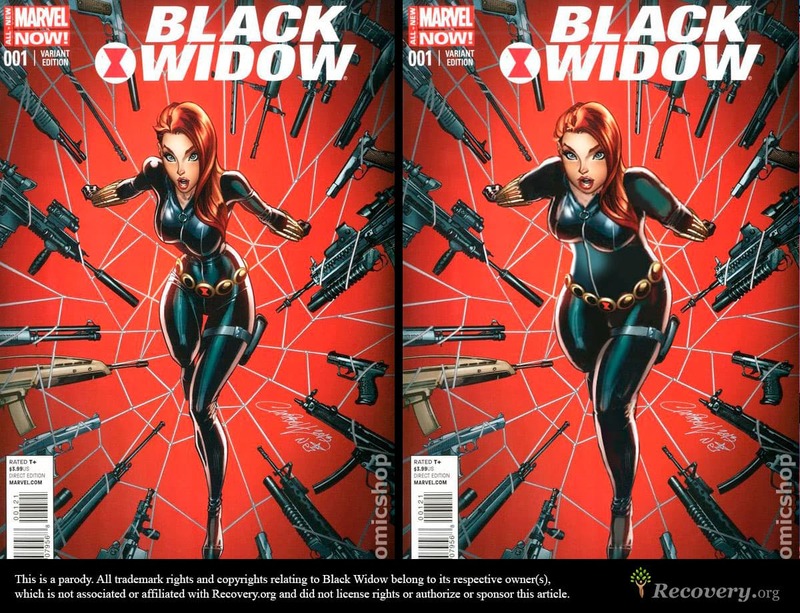 Hypersexualized and under-marketed in her film portrayal, Black Widow’s comic book appearances don’t fare much better. Often drawn in a black jumpsuit that just can’t zip up all the way, Romanova’s curves are front and center for viewers to see. Her wide hips, enhanced breasts, and disproportionately thin legs and arms make her look almost otherworldly. In reality, if drawn to the standards of the average body composition in the U.S., she might be almost unrecognizable. 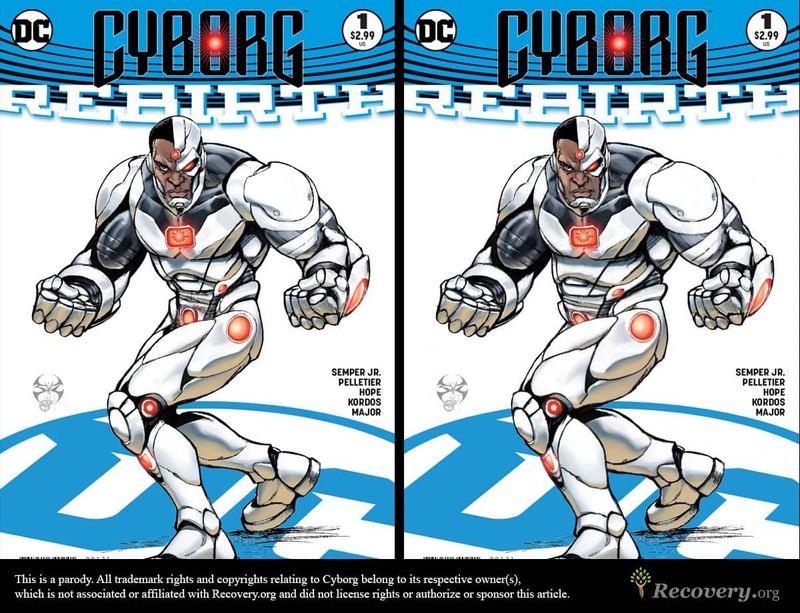 The reality for the millions of teens and children watching superhero movies and reading the comic books that inspire them is that body dissatisfaction can set in as early as age 8. By age 14, one study found more than 1 in 3 girls claimed to have been on a diet in the last year. Many of these adolescents report feeling pressure from major media productions to lose weight. High levels of body dissatisfaction have been linked to a higher prevalence of eating disorders. If you or someone you love is suffering from an eating disorder like bulimia, anorexia, or binge eating, Recovery.org is here to help. From intervention, assessment, and recovery options, Recovery.org can help you find the right treatment options and facilities to help support these serious – and sometimes fatal – health conditions. Visit us online at Recovery.org today to learn more. 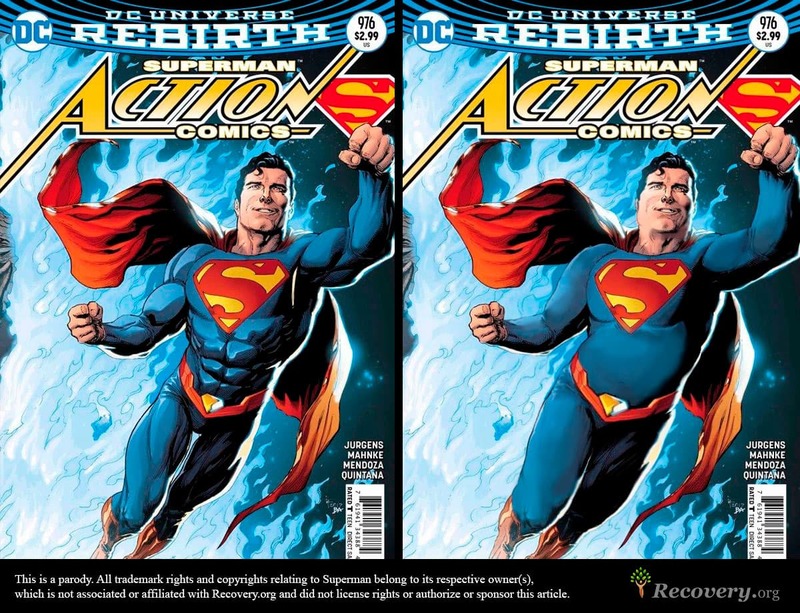 We gathered images of popular comic books and edited them to show what these characters would look like if they didn’t have their superhuman bodies. The edited images shown above are a parody. 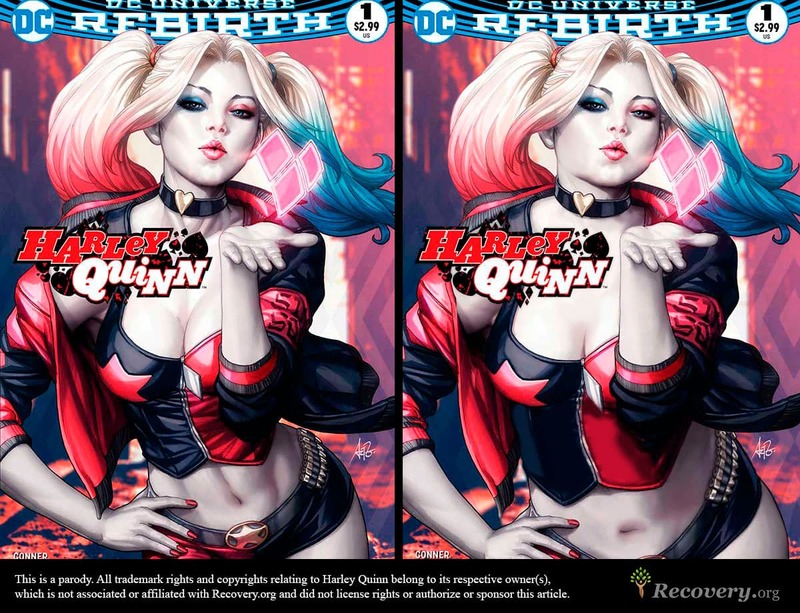 Trademark rights and copyrights relating to the characters featured on this page belong to their respective owner(s), which are not associated or affiliated with Recovery.org and did not license rights or authorize or sponsor this article.